The storm picked up steam as it sped across the Gulf of Mexico toward the Florida Panhandle. 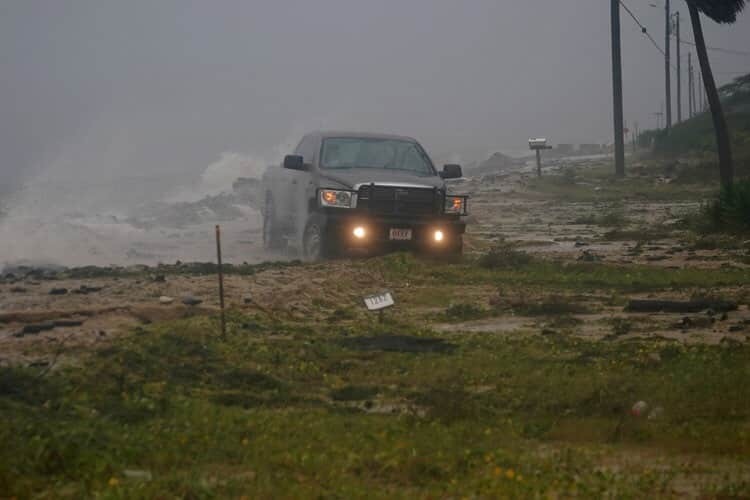 When its eye hit Florida’s Gulf Coast on Wednesday afternoon, the storm had sustained winds of 155 mph, according to the National Hurricane Center, putting it just shy of a Category 5 hurricane. Michael’s minimum central pressure — a key measure of hurricane strength — was measured at 919 millibars when it made landfall. That makes Michael the third-strongest hurricane to ever hit the US and the strongest in nearly 50 years. Central pressure is the measure of how much the atmosphere in the middle of a storm weighs. Lower central pressure indicates a stronger storm. Michael’s measurement indicates it’s more intense than Hurricane Andrew, which hit Florida in 1992 with a pressure of 922 millibars, and Hurricane Katrina, which devastated New Orleans in 2005 when it hit with a pressure of 920 millibars. Normal air pressure is about 1,010 millibars; when central pressure is significantly lower than that, things become more turbulent, with more air movement and wind kicking up. Though wind speed is the basis for hurricane categories, central pressure is actually a better measure of damage that a hurricane will cause, a study published last year in the journal Nature Communications found. But Michael is a monster storm by wind speed as well. The sustained 155 mph winds make it not far from a Category 5 storm — the cut off between Category 4 and 5 is 156 mph. There’s only been one storm with higher sustained wind speeds this far north in the Gulf of Mexico before: Hurricane Camille in 1969.